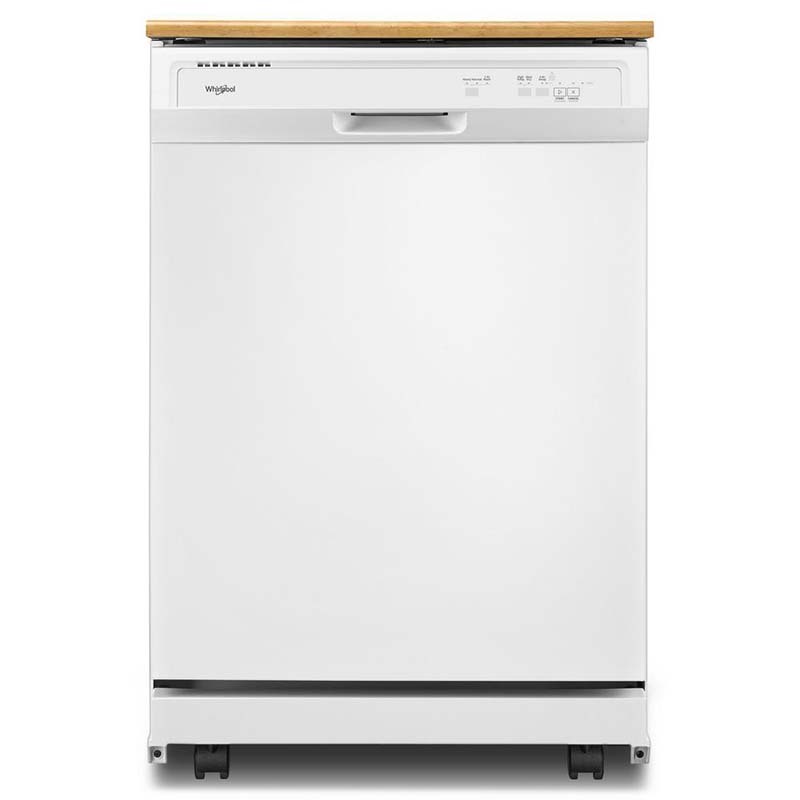 The Whirlpool White Portable Dishwasher is essential for small living spaces. It's large enough to clean 12 place settings, yet compact enough to store out of sight when not in use. This model features an efficient 1-hour wash cycle, as well as a heavy duty cycle that's tough on grime.